The first time I heard of this book, it was prefaced with "the best book of 2015!" I decided that, for a change, I'd try to beat the hype on this one. I can't say that I was entirely successful with that as I continued to hear and read the merits of this book as I began to read. And, honestly, I was perplexed. You see, this book was just painful to read. I'm not talking about the subject matter--while I quickly tired of Lotto and Mathilde's rather narcissistic life, I didn't find anything they did that objectionable (or, frankly, interesting). The language of the book, at least in the first section, is overly stylized in a way that makes it overly laborious to slog through. I found the constant asides that Groff includes--they litter the first section and are used occasionally in the second--disruptive to the flow of the narrative. The second part of the book is better than the first. 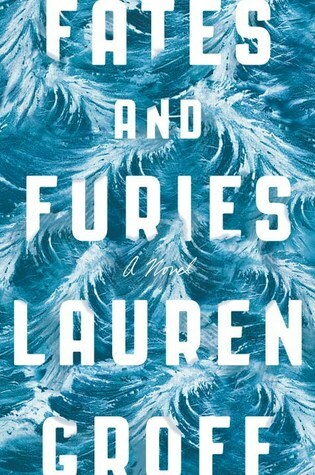 The first, "Fates" is told from Lotto's point of view and the second, "Furies" from Mathilde's. Both sections tell roughly the same story, but from the two different viewpoints. Mathilde's story is far more interesting than Lotto's and the language in her section is more organized and easier to read. I'm perplexed as to why Groff spent so much time on Lotto's narrative and not as much on Mathilde's as more actually happens in the latter (the book is 60% Lott and 40% Mathilde). As I was reading this, I had posted in a couple of different places that I was having trouble with this book and the response I would receive would be to hang in there, the 2nd half makes it all worth it. I'm not arguing that the second half (or last 40%) is much better than what comes before it, but does it make up for the "Fates"? A number of readers believe so, but I am not one of them. Groff lost me with this book and, by the time Mathilde got to tell her story, I was too far gone. I applaud Groff for what she was trying to do here--I do appreciate when writers "color outside the lines." However, in this case, it just did not work at all for me and I don't think I would recommend this book to anyone, despite all the buzz it is getting.